This state-of-the-art line is ideal for many surfaces, including wood, canvas, metal, leather, ceramic bisque, paper and walls. All colors are ASTM class 1. Never fades. 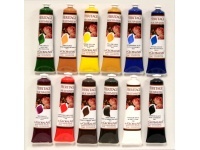 All colors contain the same high quality ground pigments found in many leading oils. Non toxic and environmentally friendly and safe. Many products contain UV inhibitors which help the longevity of any surface you apply them to. 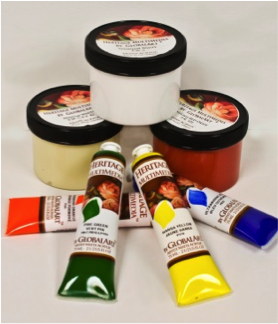 All colors utilize the highest quality, lightfast, safe, pure pigments available today. 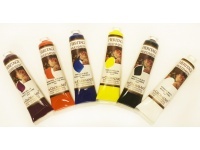 * All products listed are 2-1/2 ounce clear tubes. Contact me if you would like to order 8 ounce wide mouth jars.